A Filipino photojournalist has won second prize in the World Press Photo Award for his photograph on the Duterte administration's war on drugs. 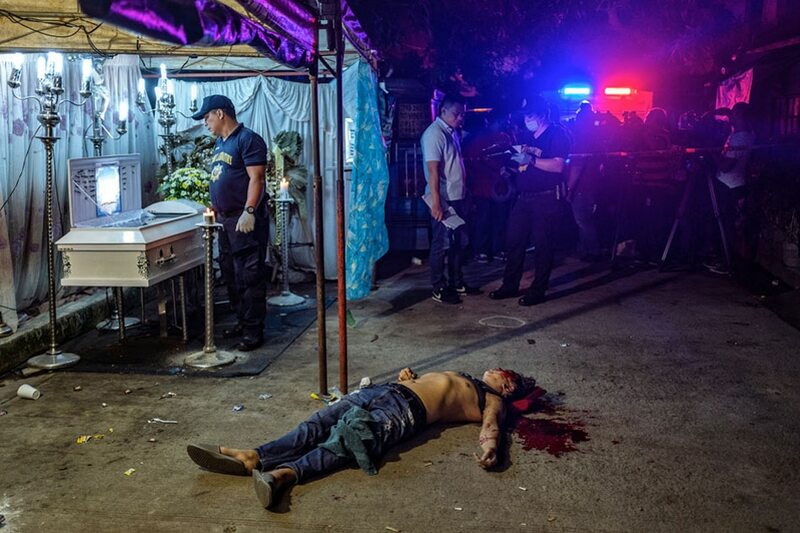 Ezra Acayan's photo of an alleged drug personality shot dead by unidentified gunmen in front of mourners at a wake won second prize in the Spot News category, Singles, behind eventual World Press Photo of the Year winner John Moore's image. Acayan, whose previous works on the drug war have been recognized by other award-giving bodies, photographed scene of the crime operatives (SOCO) viewing a body in a casket while working on the crime scene of an alleged victim of an extra-judicial killing in Quezon City in August 2018. The drug war started after the inauguration of Philippine President Rodrigo Duterte in June 2016. Human Rights Watch said over 12,000 people have died in the drug war, which is higher than the 5,176 allegedly killed in legitimate police operations. Acayan, whose work has focused on social issues and human rights in the last three years, has won the Ian Parry Scholarship Award for Achievement and the Lucie Award for Philippine Photographer of the Year. His photographs of the drug war along with works by other journalists have been exhibited in other venues in the United States, Europe and Asia. Acayan has done multimedia work for various outfits such as Reuters, European Pressphoto Agency and Agence France-Presse and is a member of the Photojournalists' Center of the Philippines.